The originals that started them all...The FHS Endurance Racing Oil Series. They use our specially designed enhancers that have been researched, developed, tested, and proven for decades now. They are designed to give incredible engine protection along with excellent speed. 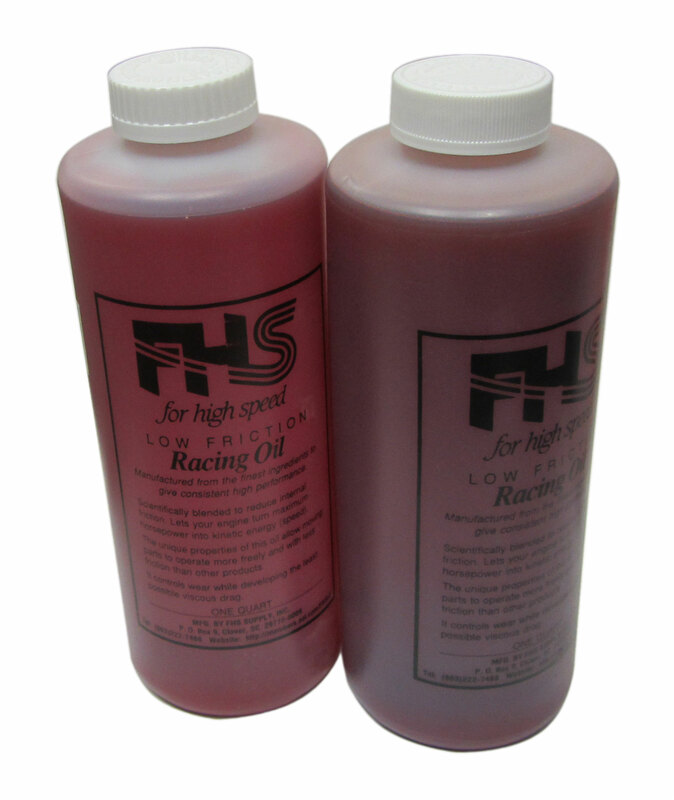 The film strength of these FHS oils is unmatched by the competitors.These are the tried and true oils that methanol racers around the country have come to rely on. Lightning Modified-(red) 4-cycle, Higher protection for Open & Mod classes, especially good for those with large clearances. 62R-(red) Maximum protection for all 2-cycle or 4-cycle engines, especially good for Jr. Dragsters who need to keep their engines together at maximum RPM!